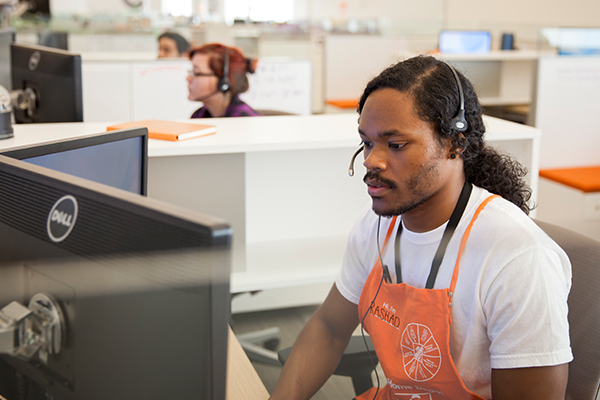 Use your passion for service to create great experiences for customers calling about their online orders. Actively engage customers to assess their needs and provide fast, friendly, knowledgeable service. 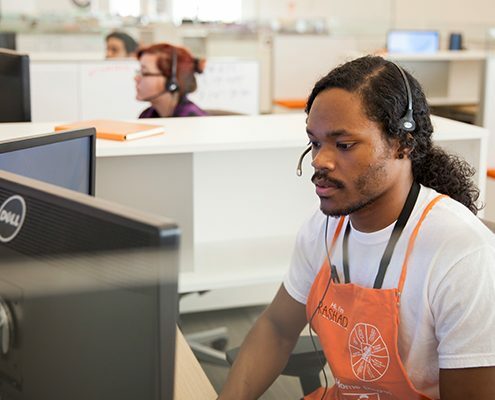 The HDMS Business Operations Associate (BOA) works in an administrative environment at Home Depot Measurement Services contact center to provide quality, professional administrative and customer service that consistently meets or exceeds company standards of excellence. 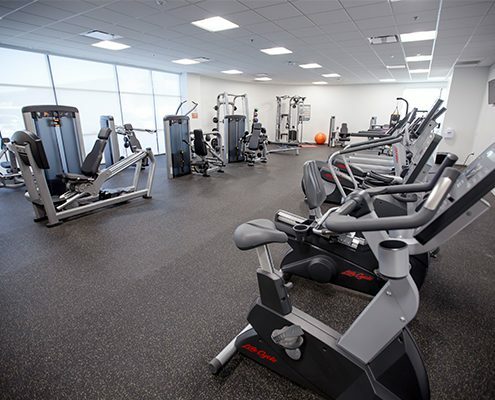 Business Operations Associates are a fully flexible member of the business operations team and work cross functionally to achieve business goals and priorities. Assignments and responsibilities may change based on planning, operational needs, productivity goals and priorities. 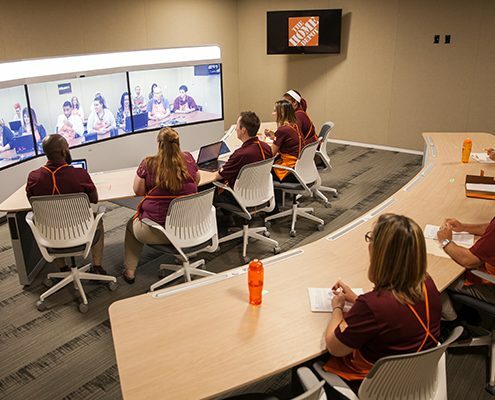 The Business Operations Associate associate will be proficient in plan calculation, review of floor plans, troubleshooting solutions for flooring issues, communicating with the HDMS Measure Technicians and The Home Depot service providers, HDMS Contact Center and Customer Service associates to resolve issues and/or assist in building quotes , re-measure scheduling, claims processing, manual payment processing and payment declines. 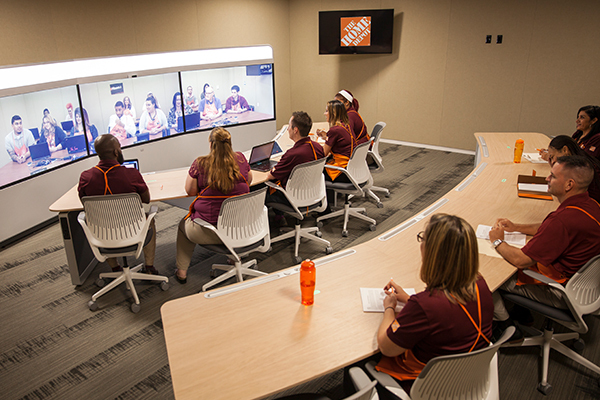 In addition, they will research and respond to questions submitted through the Express Service Tool. Resolutions/Remeasures  Identify issues on plans. 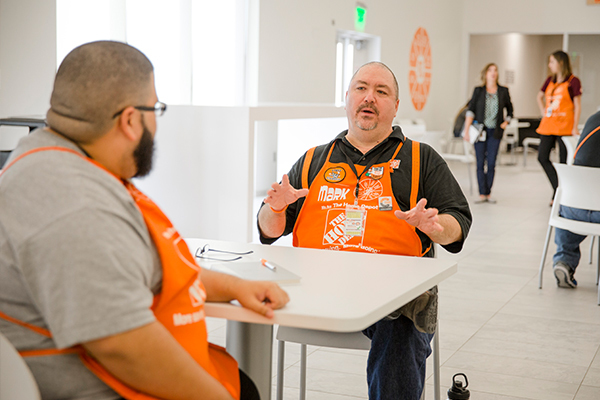 Communicate with Measure Tech, Installer, Closing Center Associate and/or Customer to provide insight and determine course of action for customer. Payments/Declines  Provide support to Store and Customers by processing customer payments requiring manual manipulation within the ESVS/SPOS Systems by troubleshooting the issue causing failure and applying required fix to the order. Associate may need to communicate with financial institutions as needed. Claims  Reviews plans, reviews quote, listens to recorded customer calls, investigates, troubleshoots and assign responsibility to all claims made to HDMS post installation. 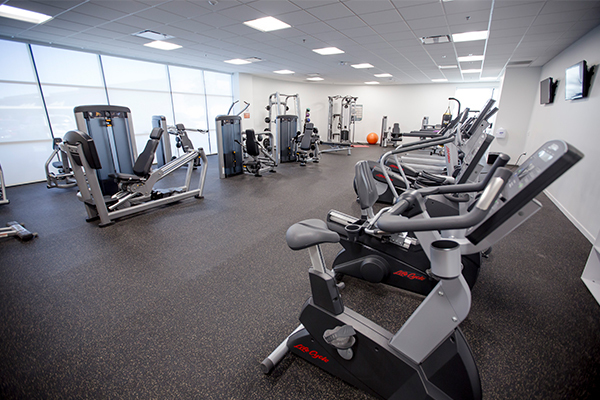 20%- Working cross functionally in areas where the associate is trained, cross training and other duties as assigned. This role reports to a Business Operations Manager. This role has no direct reports. Knowledge, Skills, Abilities and Competencies: Skilled at providing outstanding customer service, following through on responsibilities, excellent communication skills, organizational skills, fast learner. Demonstrated ability to complete projects and assignments accurately and efficiently, catching any errors before completion, despite a large workload.